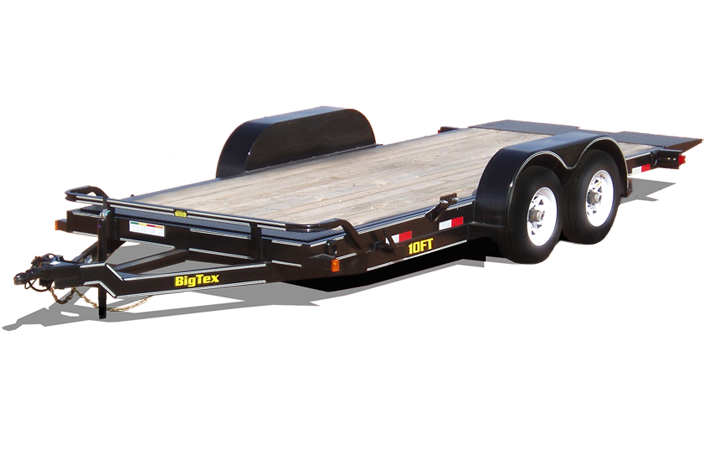 Tilt trailers defy gravity to make loading and unloading easier than ever. Hydraulic cylinders with reservoirs and proportioning valves ensure smooth and easy tilt rates, while torsion axles and clever deck designs lower deck heights and reduce load angles. Manage any kind of equipment, from classic cars to bobcats to tractors a tilt trailer.